Winning a Business Boost award gave a fledgling Newcastle-under-Lyme business the courage to grow. Tom and Claire Addis launched Zombie Ltd in 2017, combining a love of vintage horror films with a passion for design. The couple make merchandise, memorabilia, artwork and collectibles and sell them in an online shop on their website. Products include tote bags, t-shirts, prints and accessories, including soap and candles. Zombie Ltd were at the beginning of their business journey when they entered Business Boost, but now ship their merchandise around the World. 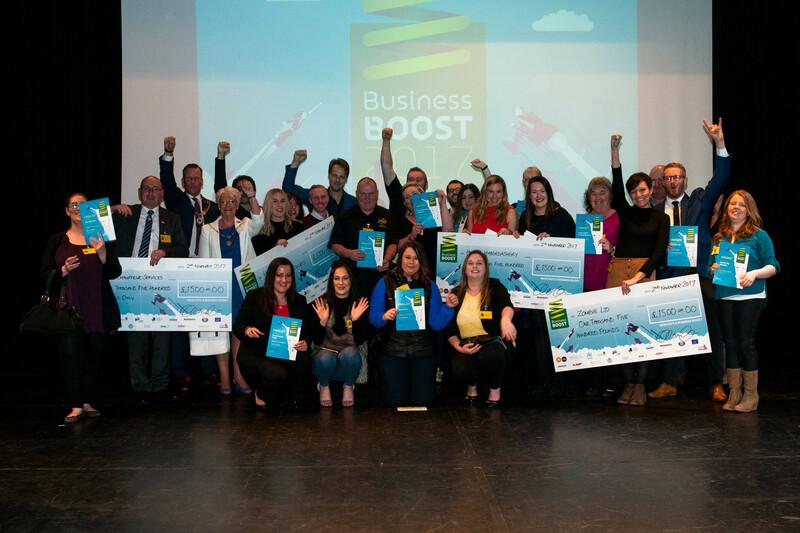 As the 10th annual Business Boost competition opened for entries, Claire said: “This time last year, we were at the very early stages of our new business, but we knew that the awards recognised local businesses that demonstrated future potential, so we felt it was worth a shot. We could see that it would be a great way of getting more exposure as well as a financial boost. “If we hadn’t entered I don’t know if we would have had the confidence to reduce down our previous contract work and focus on Zombie full-time. The feedback we received alongside the actual award meant we started to really believe in ourselves and in the business. We met an amazing group of people and companies, as a result of the experience, many of whom have gone on to help us since in various ways, whether that be with advice, training, networking or sales opportunities. Zombie Ltd is now fully operational from offices in Liverpool Road, Newcastle, with its own online store, an Etsy shop and regular spots at various Maker’s Markets around the North West of England. Products are now shipped to customers as far away as Canada, Bratislava and Gran Canaria. Claire added: “We have also attended various Comic Cons, started community work with local voluntary groups and will soon be collaborating with other artists to showcase their work on our clothing and wall art. The 2018 awards are now open for entries. The awards are run by a group of volunteers, the majority who run their own small businesses in and around Newcastle-under-Lyme. The competition is open to all small businesses that pay their rates or council tax to Newcastle-under-Lyme Borough Council whether they employ a dozen people or work out of their bedroom. “Entrants get the opportunity to work with business advisors and feedback shows that Business Boost can help in many ways. It helps small businesses to focus on producing a business plan that works, promotes links with other businesses in Newcastle-under-Lyme and progression to the final gives businesses a confidence boost and recognition. The closing date for entries is 23 September and an awards ceremony will be held in November at Newcastle-under-Lyme College’s Performing Arts centre. Business Boost is open to all small businesses that pay their rates or council tax to Newcastle-under-Lyme Borough Council. 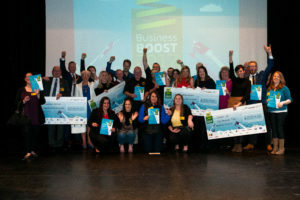 For competition details and an application form, please go online to www.businessboostawards.org.uk.